After activating your theme, visit the Customizer under Appearance → Customize to set up the basic theme settings, such as background color, custom header, site logo, or custom menu. Jetpack is required plugin for Anemone WordPress theme. Jetpack is comprehensive and free plugin by WordPress.com which provides several features under one roof. You need to install and activate the Jetpack plugin in order to use the supported modules. Check out this guide for full details on how to set up a site logo. Anemone includes an eye-catching featured content area on the home page. Capture your visitors’ attention and lead them to specific posts or pages. Here are some tips to help you get the featured content set up. Go to Appearance → Customize → Featured Content and add the featured tag or a tag of your choice. 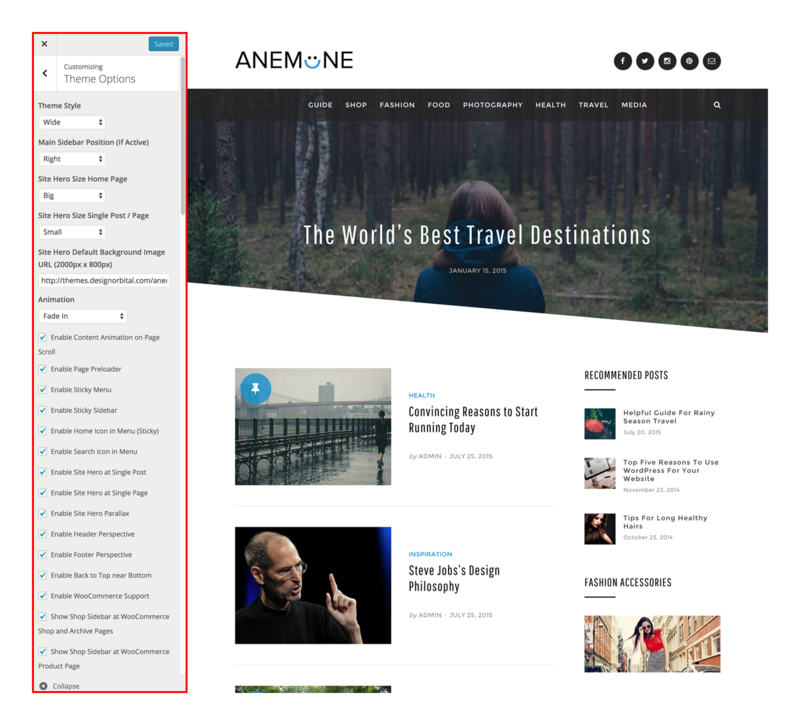 Anemone supports one post or page in its featured content area. Create or edit a post or page you wish to feature. Assign the special tag from step one to this post or page. Set a Featured Image for your post or page. 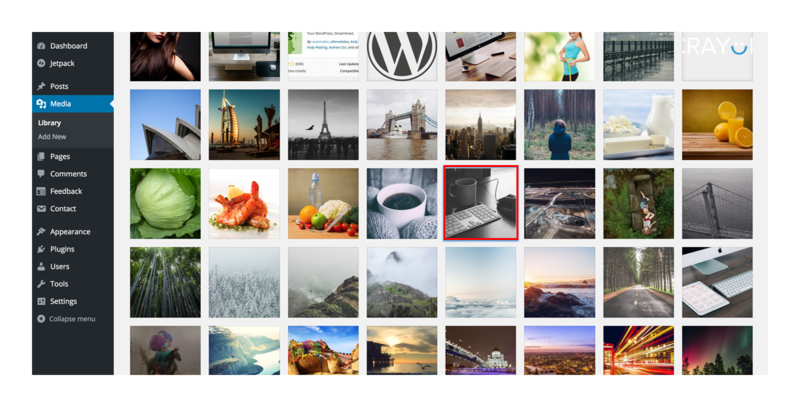 Use big and beautiful featured images for the featured content area. You’ll find Anemone’s theme options in the Customizer, under Appearance → Customize → Theme Options. You can use Anemone‘s wide layout or personalize it with the beautiful backgrounds using the boxed layout. Anemone will cover the full screen width in wide-layout mode. Any background color or background image will not be visible using wide-layout mode. Anemone will wrap the content in a box. This option is best if you want to use a background color or background image for your website. Anemone displays the main sidebar on the right or left side, as long as it contains widgets. You can choose the big or small site hero size for the home page. 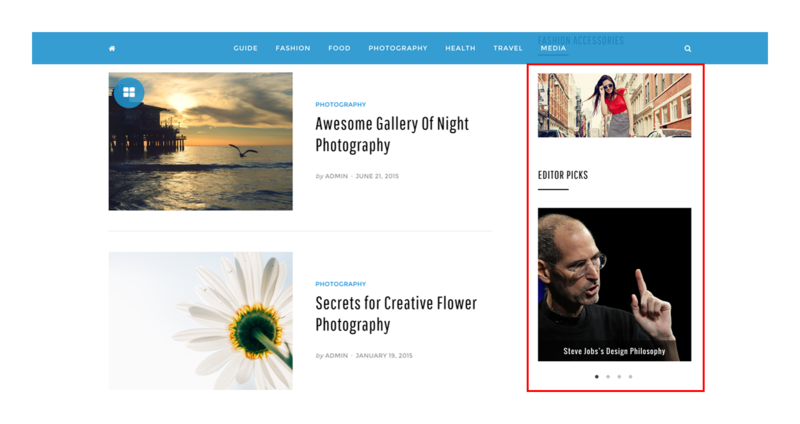 You can choose the big or small site hero size for the single posts and pages. Anemone displays Featured Image of the posts and pages in the background of site hero. You can give the default background image URL which will be used for those posts or pages which have no featured image. You can do this via your Media → Add New page or by following this guide. You can get the Image URL by going to your Media Library and clicking on the photo you want to insert as a site hero default background image. You will want to copy the File URL by right-clicking or using CTRL + C on your keyboard. Anemone features a cool animation effect when elements like posts, widgets or the footer, appear as you scroll. You can choose from several different animation styles. You can enable/disable content animation via the “Enable Content Animation on Page Scroll” option. Anemone‘s preloader hides the content before it’s fully loaded and provides a smooth experience to your website’s visitors. 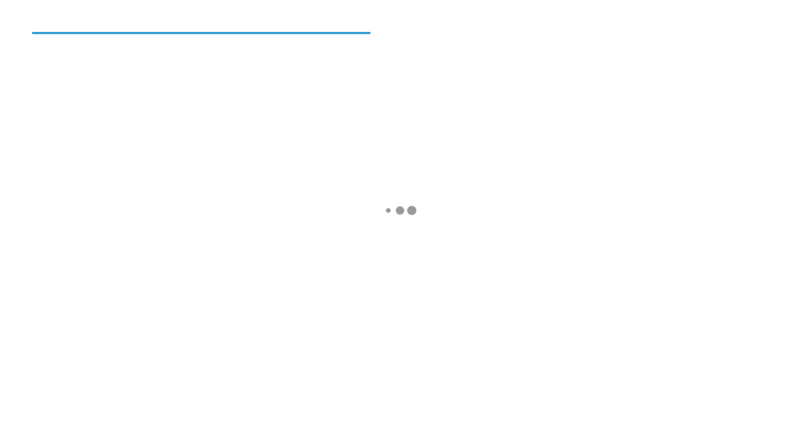 The preloader displays a “Skip” link automatically on slower internet connections after few seconds. You can enable/disable the preloader via the “Enable Page Preloader” option. You can choose to make the header custom menu sticky, so visitors can always access the menu while they scroll on screens. This option can be enabled via the “Enable Sticky Menu” option. Note: Anemone intelligently hides the sticky menu when user continues to scroll down in order to provide distraction free experience. Sticky menu appears again when the user starts to scroll up. You can make the Anemone‘s sidebar sticky by enabling this option. It is very useful feature so that your sidebar remains always visible while the user scrolls to read long content. You can display the home icon in the sticky menu by enabling this option. This is very aesthetic and useful to give the home page access to the user. You can display the search icon in the menu by enabling this option. This is very aesthetic and useful to give the search access to your users. You can enable or disable site hero at single posts. You can enable or disable site hero at single pages. Anemone beautifies the site hero with the stunning parallax effect. You can enable/disable parallax with this option. Anemone has exclusive header perspective style to stand out the theme. You can enable header perspective with this option. 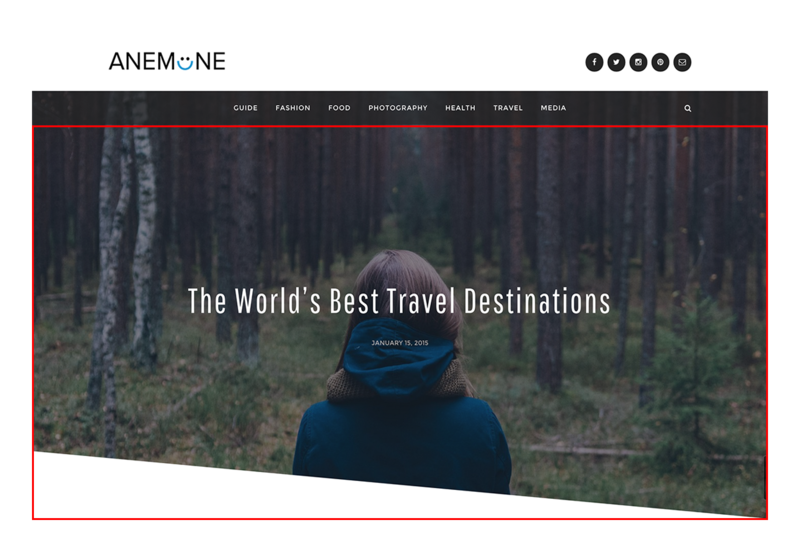 Anemone has exclusive footer perspective style to stand out the theme. You can enable footer perspective with this option. Anemone displays back to top arrow when the user reaches near the bottom of theme. You can enable back to top feature with this option. Anemone supports WooCommerce plugin. If you are using WooCommerce plugin than you should check this option to enable WooCommerce support. You can enable/disable “Shop Sidebar” at WooCommerce Shop and Archive pages with this option. You can enable/disable “Shop Sidebar” at WooCommerce Product page with this option. Anemone supports Featured Images on blog posts and static pages. Featured Images appear near the title on the blog index and archive pages. For best results, use an image at least 2000px wide and 800px high. 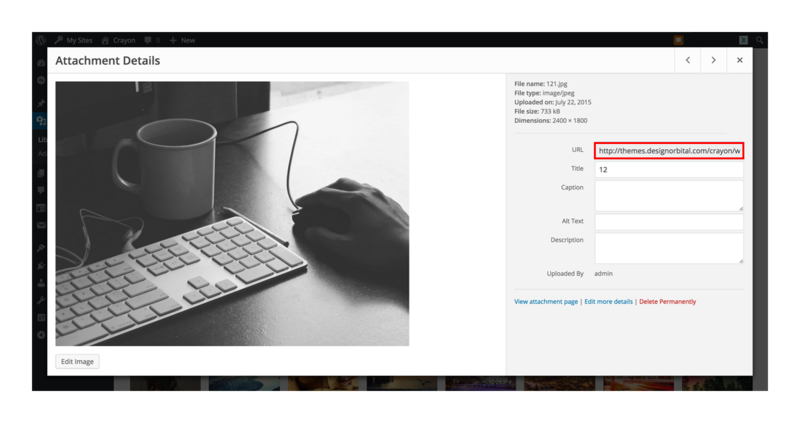 If you upload larger Featured Images or images with different proportions, they will be automatically resized to match the dimensions noted above. Anemone has several built-in typography features to enhance your blogging experience. Please visit the links in order to know how to use them. Anemone has given speical attention on blockquotes to enhance your blogging experience. Please visit the links in order to know how to use them. Anemone supports lists and code professionally to enhance your blogging experience. Please visit the links in order to know how to use them. 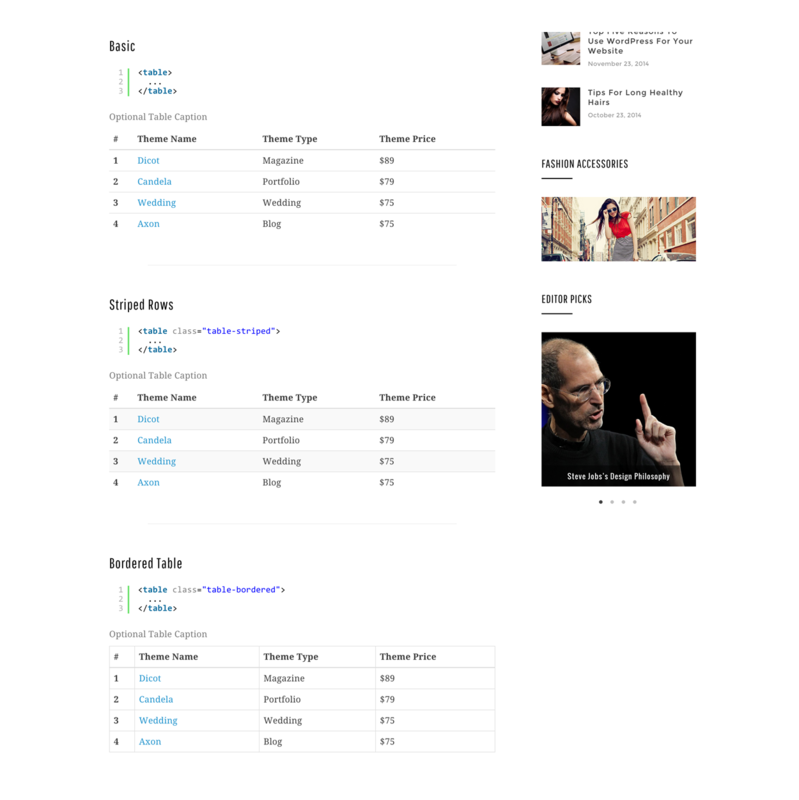 Anemone has different style of tables in order to enhance your blogging experience. Please visit the links in order to know how to use them. Anemone supports modern feature of CSS3 Multiple Columns in order to enhance your blogging experience. Please visit the links in order to know how to use them. Add a Custom Header image by going to Appearance → Customize → Header. Your uploaded image should be at least 200px tall. The width should be at least 1920px to provide a crisp background. Add a Custom Background via Appearance → Customize → Background. You must choose the Box Layout in the Customizer’s Theme Options area to see background colors or images. Anemone allows you to have two Custom Menus, which can be set under Appearance → Menus. Select Primary Menu location in the Menu Settings to display Custom Menu in the header. Select Secondary Menu location in the Menu Settings to display Custom Menu in the footer. Anemone allows you display links to your social media profiles, like Twitter and Facebook, as icons using a Social Links Menu in two locations. Select Social Links Header Menu location in the Menu Settings to display Social Links Menu in the header. Select Social Links Footer Menu location in the Menu Settings to display Social Links Menu in the footer. Read the full guide for setup instructions. Anemone comes with four widget areas: one in the sidebar, and up to three in the footer. 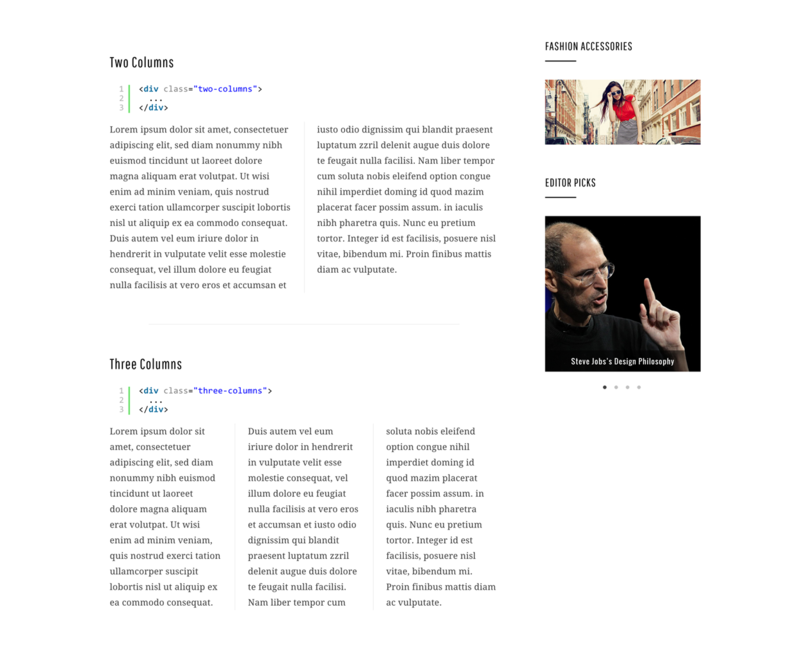 The footer widget areas will activate once you add widgets to them in Appearance → Widgets. The Post List widget displays posts alongside a small Featured Image. Go to Appearance → Widgets to use the Anemone: Post List widget. The Post Carousel widget displays the posts in a rotating slideshow with Featured Images. Go to Appearance → Widgets to use the Anemone: Post Carousel widget.